Yeast protein expression system is the most economical eukaryotic expression system for both secretion and intracellular expression. 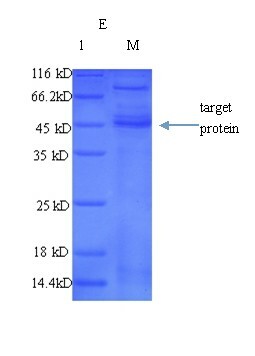 It is ideally suitable for large-scale production of recombinant eukaryotic proteins. GeneCreate Technology, selected stable and durable production strains that resemble mammalian system are employed for high-yield, high-productivity protein processing, thus dramatically reducing the associated costs and inherent time requirements. Otherwise, our Yeast protein expression systems serve as a eukaryotic expression system integrate the advantages of the mammalian cell expression system.So the protein expressed by yeast protein expression system could be modificated such as glycosylation, acylation, Phosphorylation and so on to ensure that the protein native conformation.So It could Used to produce protein material with high added value that is very close to natural protein. 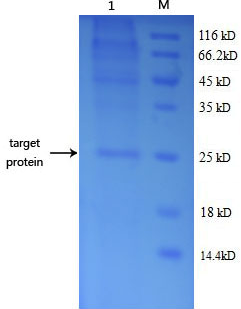 The facts proved that our protein produced by Yeast protein expression system which served as raw materials for downstream preparation monoclonal antibody had good properties of the recognition of natural protein through the feedback of the customs. Combining advanced technologies and profound past experience, our efficient seed screening work can make your order to obtain the highest yield in the shortest time. l Utilizing Biobrick technology patents combine with our reformed efficient secretion vector ,thus Can construct any copies of the gene dose in vitro with efficiency, enhance the expression quantity, and could be successfully used in the optimization of improving industrial strains, makes the maximum protein expression. 2 GeneCreate can take your project directly from gene synthesis, to downstream activities including recombinant protein expression, stable cell line generation, antibody production, and assay development,more worthy of mention is our homogeneous gene mutant library, is a global innovation technology. Fig. A: Expression and secretion of target protein from P.pastoris. 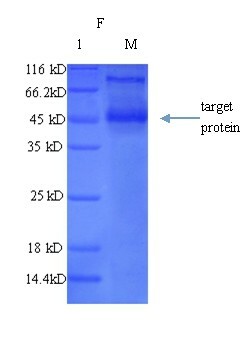 Fig.B: Purification of the target protein by Ni column. Fig. C: Expression and secretion of pharmaceutical protein from P.pastoris. Lane 1 :Expression level from customer. Lane 2 :Expression level from CUSABIO. 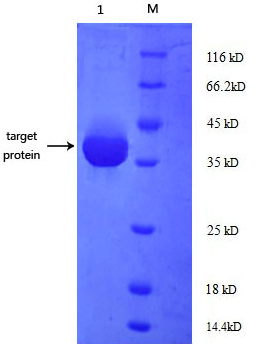 Fig.D: Purification of the target pharmaceutical protein by SP-Sepharose. Fig. E: single copy gene expression of industrial enzyme from P.pastoris. 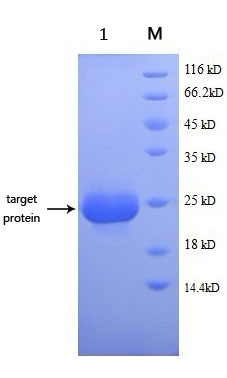 Fig.F: eight copy gene expression of industrial enzyme from P.pastoris. 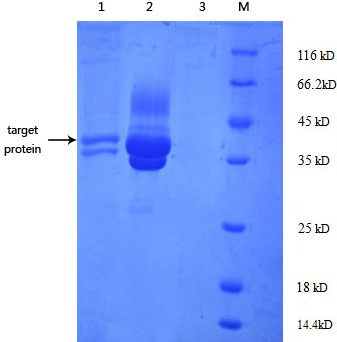 Remarks： We only provide HIS tag antibody used to the quality control of expression product, if customer's requires do western blot with a corresponding protein antibodies, the antibodies are provided by the customers themselves.